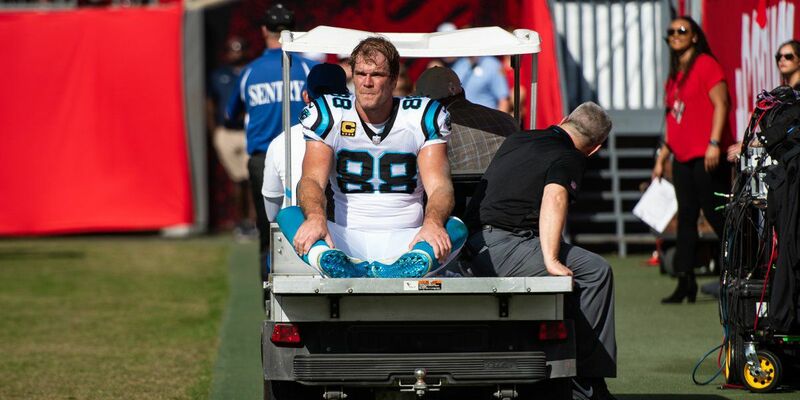 CHARLOTTE, NC (WBTV) - Carolina Panthers Tight End Greg Olsen was placed on injured reserve Wednesday after re-injuring his surgically repaired right foot in Sunday’s game against Tampa Bay. Olsen broke the same bone in this year’s season opener, which cost him nine games in 2017. Olsen suffered a fracture in his right foot in Week 2 of the 2017 season and had it surgically repaired, spending eight weeks on injured reserve before returning to the field with a screw in his foot, the Charlotte Observer reports. Olsen re-fractured the same foot in Week 1 this year, but elected to rehabilitate it without surgery in hopes he could return sooner. “It’s just tough – to go 10 years and not really have anything and now one little injury stalling me for the good part of two seasons is frustrating,” said Olsen.